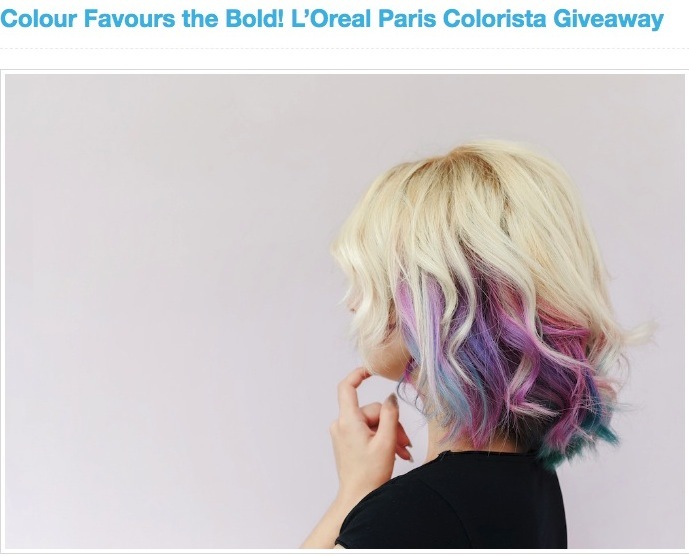 Enter the new London Drugs Beauty “Colour Favours the Bold” contest for a chance to win one of three Colorista Boxful of Colour Fun Worth $374. This contest is open to all legal residents of Canada in British Columbia, Alberta, Saskatchewan or Manitoba, who have reached the age of majority or older. To enter this contest you must enter the official London Drugs Beauty Instagram or Facebook account and tag two friends in the comments below. For an extra entry you have to write a comment answering this question “What fun colour you’ve always wanted you hair to be?”. The entry for this contest ends on January 18 2019 at 11:59 pm PT. Winners will be selected by a panel of judges. There will be three prizes awarded: each winner will receive one L’Oreal Paris Colorista Prize Pack worth approximately $374. The London Drugs Beauty contest begins on January 14 2019 and ends on January 18 2019. The draw to select the winners will be held on 21 January 2019 at 12:00 pm. Selected entrants will be contacted by email, or the social network they were drawn from.